Gigi Hadid Shoots for ‘Reebok’ at Gotham Gym | Gigi Hadid | Just Jared Jr.
Gigi Hadid grabs a cup of coffee while on her way to a photo shoot on Tuesday morning (July 26) in New York City. 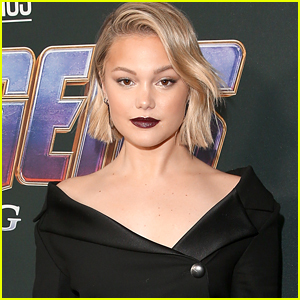 The 21-year-old model was headed to a shoot for Rebook at Gotham Gym, where she showed off her major boxing skills! Fans know that Gigi has been modeling for a long time and the day before, she revealed a picture from one of her earlier photo shoots when she was just 17! “17 yr old Gi,” she captioned the gorgeous close up photograph. Gigi Hadid Dons Double Denim for Her Star-Studded Birthday Bash! Taylor Swift Carries Cute Cat Purse to Gigi Hadid's Birthday Party! 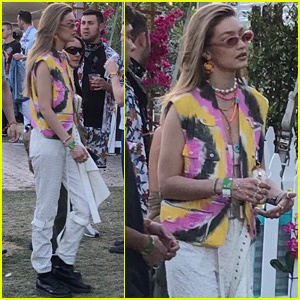 Gigi Hadid Shows Her Style During Coachella 2019!